Date: 23.04.2018 | Dance, Disco, RnB, Pop, Rock | Tags: BMG Rights Management, Extend the 80s Hits, 80s, Rick Astley, Bronski Beat, Nena, The Stranglers, The Blow Monkeys, Shalamar, The Whispers | Download Extend the 80s - Hits (2018) for free. Arguably one of the most important decades for pop music, the ‘80s delivered a smorgasbord of music styles, from Electro to New Wave, and from rock to hip-hop. 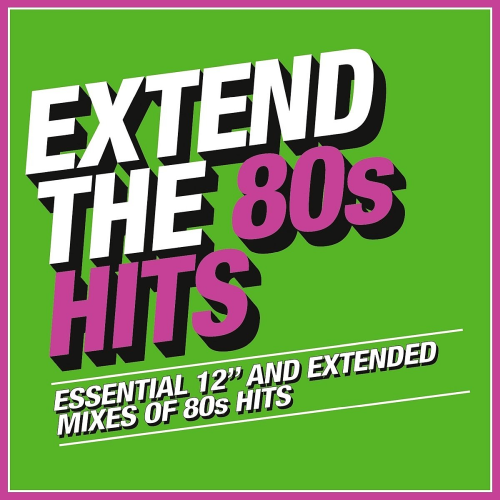 Extend The 80s Hits features 12 and extended mixes of some of the most immaculately produced pop records ever made, highlighting the indelible impact the decade made on the popular music landscape. Featuring Bananarama, Howard Jones, Fine Young Cannibals and many more. The perfect album for those who like their ‘80s hits extra long. Edition: BMG Rights Management UK Ltd is a variety of stylistically useful material, which is, however, a possible platform, simply decipher. This is how you can use your collections and archive. And a non-familiar apprehension definitely sustainable attitude!